Sorg Nissan Invites You to Explore the 2017 Nissan Armada! Ladies and gentlemen, allow Sorg Nissan to introduce you to one of the season’s most exciting vehicles, the 2017 Nissan Armada. Not only does this vehicle give you the very best in terms of engine power and performance specs, but it also comes decked out in a thrilling array of absolutely new technologies and is fully equipped with a raft of reliable safety systems as well. Check out the details by reading on! First of all, the 2017 Nissan Armada features a wealth of performance specs to ensure that this drive is second to none when it comes to power and ride quality. In particular, we want to highlight a few of the Armada’s features in depth: (1) its mighty engine power; (2) epic towing capacity; (3) 7-speed automatic transmission and 4-wheel independent suspension; (4) well-constructed wheels, (5) front and rear sonar; and (6) power rear liftgate. First thing’s first: let’s start with this machine’s massive engine power. In brief, you’re going to get a heck of a lot of it. The Armada runs on a 5.6L V8 Endurance engine that grinds out as much as 390 hp while also gathering a mind-boggling 394 lb-ft of torque. What this means is that you’re going to be able to depend utterly on the Armada to get you from wherever you’re coming from to wherever you’re going in a jiffy. But what does this awesome power translate into in practical towing capacity? Hold on to your hats: the Armada gives you a truly unbelievable 8,500 pounds of maximum towing capacity, meaning that you’re going to be able to lug basically anything you want—a trailer, a jet-ski, even a small boat—up to the lake this autumn or down-state to camp. Plus, all this towing power ensures that you’ll have no trouble relying on your Armada when it comes to moving equipment back and forth between your house and a new property or worksite, if necessary. 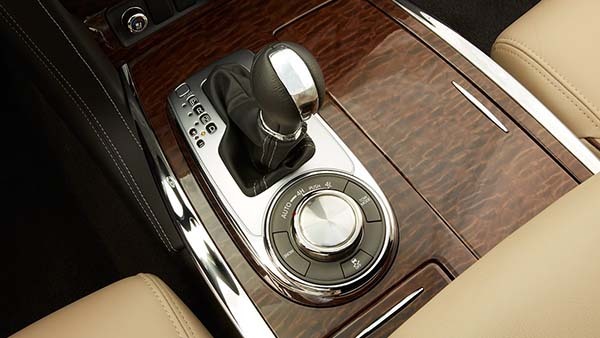 On the one hand, the Armada gives you a 7-speed automatic transmission system that delivers a top-notch ride characterized by its memorable smoothness while also featuring a tow/haul mode that enables this car to hold lower gears for much longer, thereby allowing you to produce extra power when lugging heavy material. On the other hand, you can also trust the Armada’s 4-wheel suspension to make the ride even smoother. 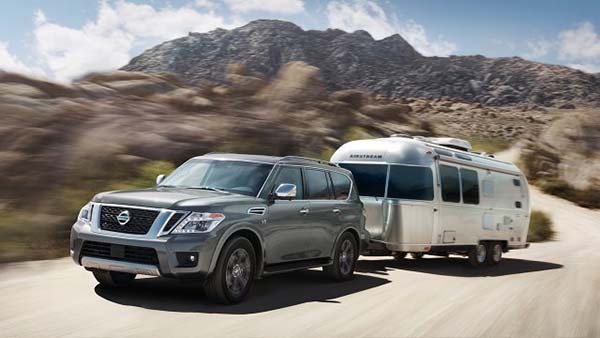 Where other SUVs tend to use a truck-based suspension system, the Armada’s unique independent suspension helps the vehicle absorb the jolts from bumps and keeps your back-seat passengers as comfortable as can be. Add on to all this some of the market’s most gorgeously and well-constructed wheels. 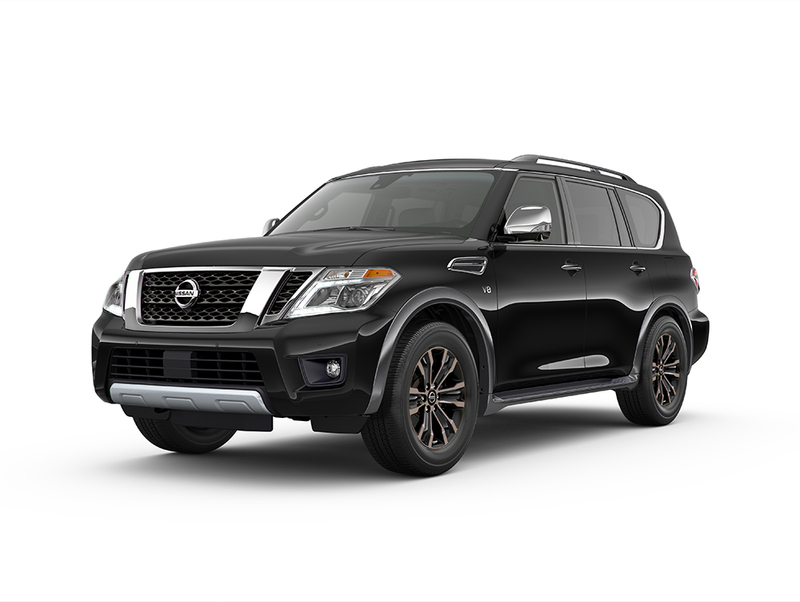 The Armada is outfitted with 20-inch machine-finished tinted aluminum alloy wheels that not only promise to turn heads wherever you are—they boast a special chrome-clad finish, for example—but also ensure a sturdy, dependable drive. At the same time, because they are built from lightweight metal, they don’t require that performance be sacrificed at all. Although as much a safety device as a performance boosting add-on, the Armada’s front and rear sonar system serves to simplify your drive even more. 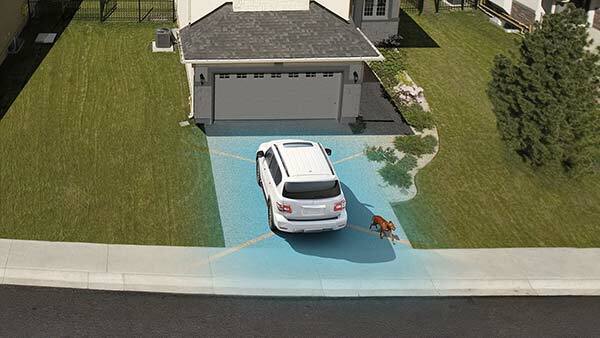 By using eight carefully designed sensors placed in the front and the back of the car, your Armada is able to sense the presence of objects—vehicles or just everyday impediments—as you inch forward or back-up, and then alert you to their presence. This allows you to negotiate tight spots and parallel park much more easily than you could otherwise. With the Armada’s power rear liftgate, you’ll be able to pack or unpack this vehicle with hardly any effort at all. 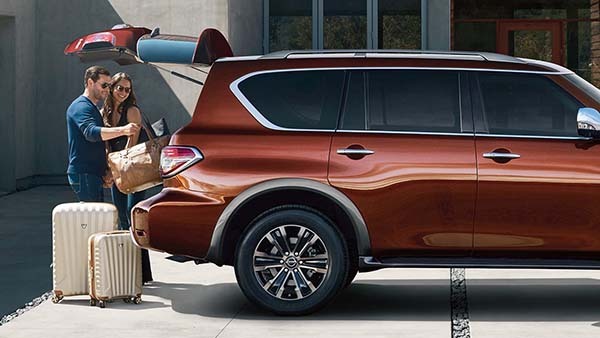 Simply push a button on your Nissan Intelligent Key to activate the liftgate, lift it with no effort on your own part, and load up your Armada. 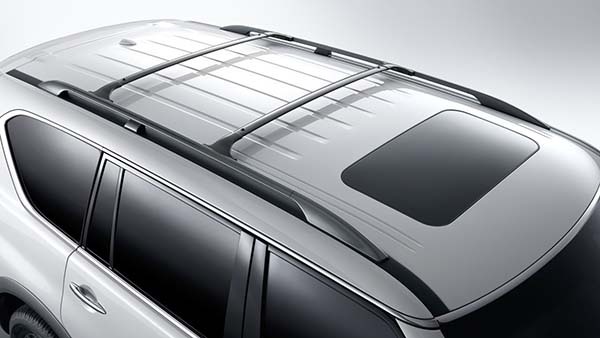 Alternatively, you can also simply pull the liftgate’s handle in order to open the back, and proceed getting those precariously balanced groceries into the back of your vehicle as quickly as possible. 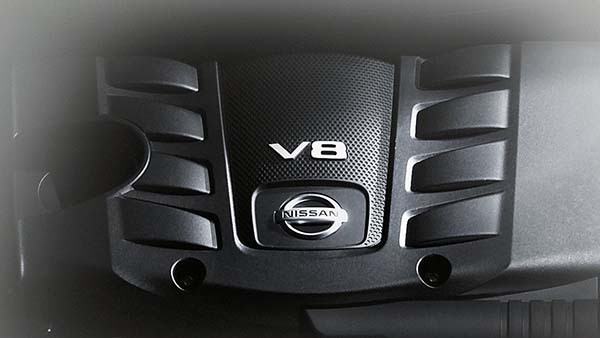 At the same time, the Nissan Armada is also outfitted with a range of exciting technologies to keep you and your family plugged in, informed, and entertained throughout the drive. We’ll highlight in particular six of these: (1) its Bose Audio system; (2) sliding moonroof; (3) Tri-Zone entertainment system; (4) navigation and traffic program; (5) generous and luxuriously appointed seating; and (6) gorgeous interior design. When it comes to the new Armada’s features, it’s truly difficult to know where to begin. But why not with the one device that everybody needs: audio. In the Armada, you’re going to get a 13-speaker Bose Premium Audio system that keeps the tunes blasting all throughout your journey. At the same time, you can count on this system’s specially designed acoustics to provide some of the crispest, cleanest sound imaginable. Get ready to sit back, crank up the radio, and enjoy your ride with Bose audio. But it only gets better: this autumn, you can look forward to relishing the cool fall nights and full harvest moonlight with the Armada’s power sliding moonroof, which will unroll to allow those soft moon beams to come flooding into your cabin as you drive down your quiet country road home. What’s more, the Armada also puts the full range of digital entertainment technologies at your own—and your family’s—fingertips. 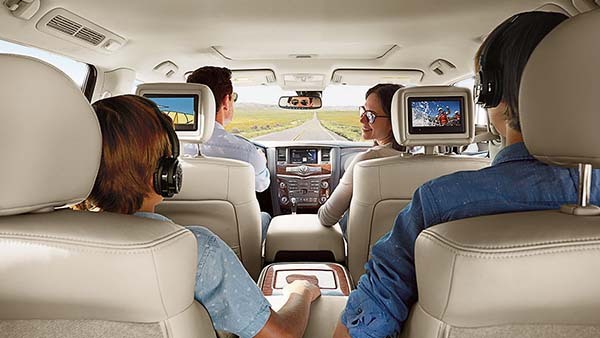 With Tri-Zone Entertainment, your Armada will be outfitted with two 7-inch head-restraint-mounted monitors for the benefit of passengers in the back seats, who can enjoy movies, cartoons, and even games on their screens throughout the drive. Not only that, but the Tri-Zone system also comes with headphones, while USB inputs allow you to draw on basically whatever entertainment source you want to rely on. But along with a full spectrum of entertainment devices to keep everybody engaged, the Armada also gives you a set of technologies to ensure that you are also privy to the very latest information regarding traffic and weather patterns. For example, the Armada’s NavTraffic system gives you information on traffic flow, roadwork, accidents, and any other information relevant to your journey. 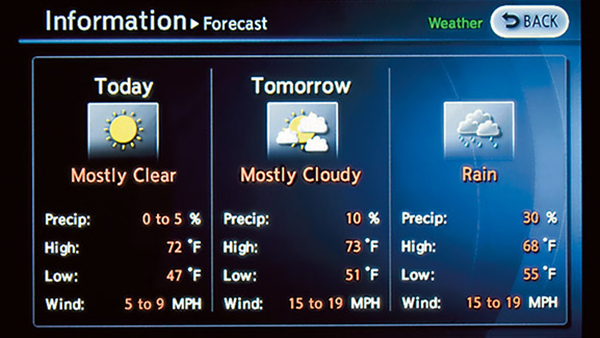 Meanwhile, it gives you NavWeather as well, meaning that your Armada will inform you of all the latest news regarding storms, temperatures, and more. First of all, the Armada gives you seating for a simply unbelievable eight—that’s right, eight—passengers, while also boasting some of the most carefully, comfortably accoutered seating options available. For example, you’ll get memory settings for the driver’s seat, as well as heated front and rear seats, and even a heated steering wheel, too. Finally, the interior of this vehicle is simply incomparable in terms of the luxury of its design. 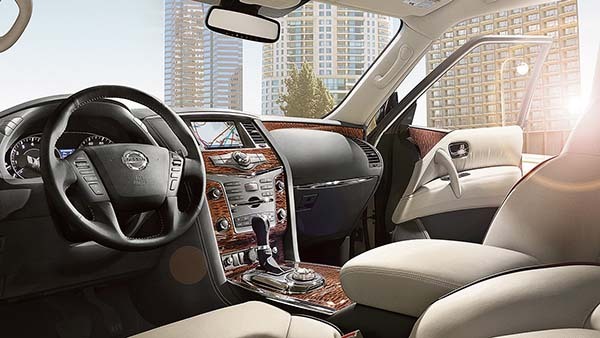 Not only does the Armada boast embedded wood-tone trim throughout the cabin, but it also gives you a range of options when it comes to picking your seat coverings—for example, you can go for splendid leather seats, if you’re so inclined—and it also features soft lighting options that can set the perfect mood within your vehicle. Last but not least, the Armada is also equipped with a a wide spectrum of safety devices designed to keep you and everybody else on board as safe as possible including (1) an Advanced Airbag system; (2) Vehicle Dynamic Control and Traction Control Systems; (3) sophisticated braking services; (4) Predictive Forward Collision Warning; (5) Lane Departure Warning and Prevention; and (6) a Blind Spot Warning. 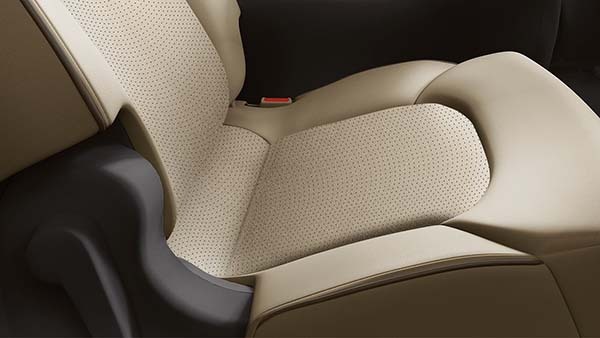 It’s truly safety first in the new Armada, which gives drivers a comprehensive web of protection in the form of a sophisticated airbag system. 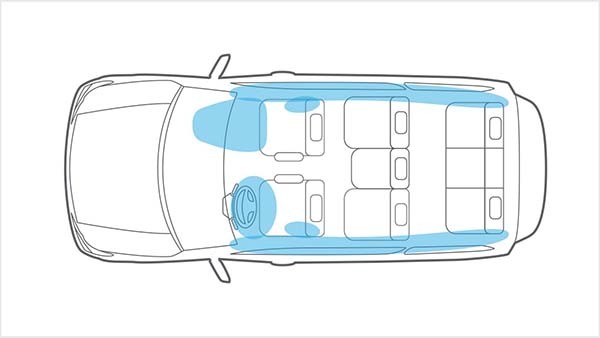 With dual-stage supplemental front air bags with seat-belts and occupant-classification sensors, your Armada can determine the correct deployment of your airbags based on the threat you face, while its driver and front-passenger seat-mounted side-impact supplemental airbags and roof-mounted curtain side-impact supplemental airbags offer additional front- and rear-seat outboard occupant head protection as well. At the same time, the Armada also gives you two dependable systems to ensure that you remain stable and that traction remains ideal when you’re facing challenging weather conditions out on the highway. 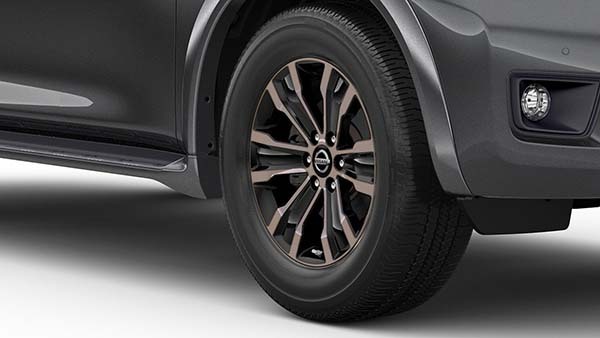 With Vehicle Dynamic Control, for example, the Armada will survey its wheel-spin rates to determine your speed and then assess your turning angle in order to find whether you’re as stable as you should be. 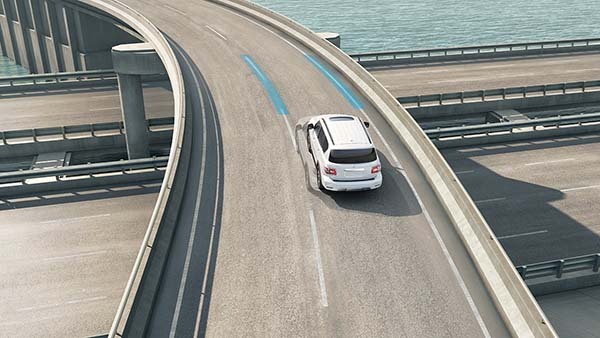 Meanwhile, its traction control system is able to assess your Armada’s actual performance against the input you’re giving it in order to help correct oversteering and understeering. 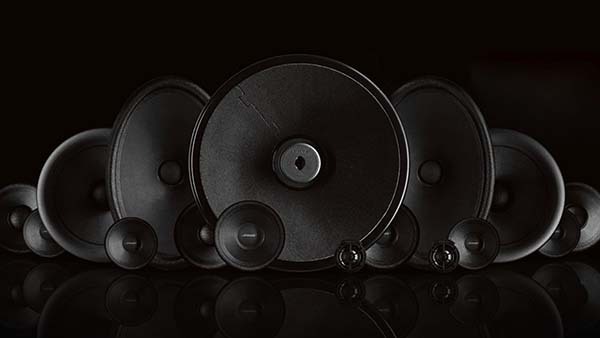 In addition to all of this, the Armada also offers up a wide spectrum of powerful braking services. For example, it’ll give you 4-Wheel Anti-Lock Braking to prevent your car’s brakes from locking, while its Active Brake Limited Slip service can detect wheel-spin and then apply the necessary amount of braking pressure to correct spin in cases when your car is producing too much of it. 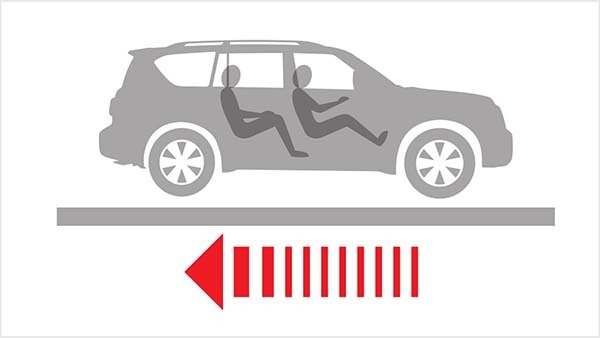 Finally, the Armada’s Forward Emergency Braking system surveys the area in front of your vehicle to determine the proximity of other cars and apply brake pressure when it concludes that you’re too close to another vehicle. 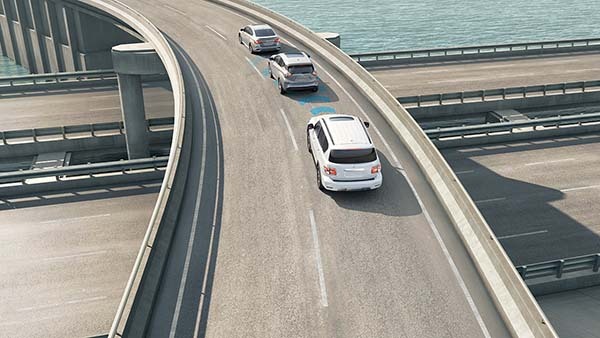 Like Forward Emergency Braking, the Armada’s Predictive Forward Collision Warning system utilizes a sensor placed at the front of the vehicle to scout out ahead of you for imminent threats. With the ability to keep tabs on two different vehicles, the system can then determine sudden deceleration and warn you of any threat resulting from such changes in speed. Especially useful to highway drivers, Predictive Forward Collision Warning strengthens an already formidable line of defense against serious accident. 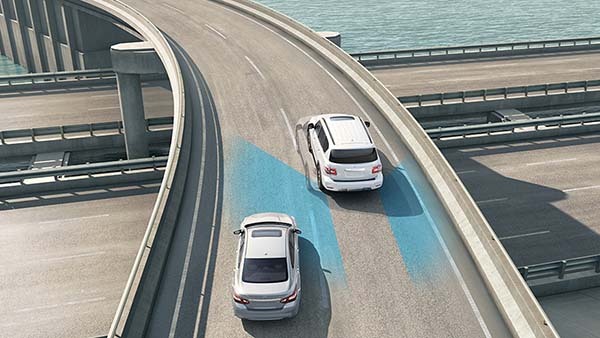 Whereas many cars come with only Lane Departure Warning, the Armada features both Lane Departure Warning and a Lane Departure Prevention system. On the one hand, the Armada will keep track of the lane in which you’re driving with a specially placed camera, and it will warn you when you begin to drift. On the other, this vehicle can even apply the brakes to the appropriate wheels to guide you back into your original lane. 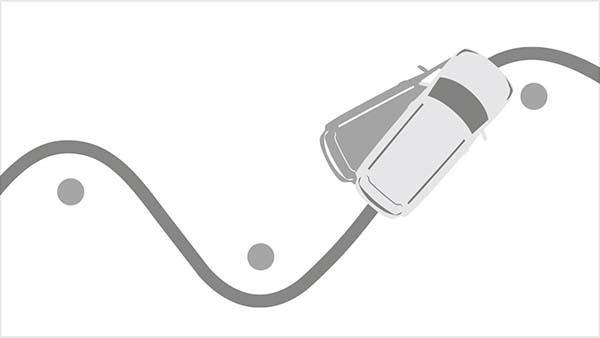 Finally, the Armada’s Blind Spot Warning system is able to monitor the area around your car and sense the presence of other vehicles in your blind spot. When it senses other vehicles, it will alert you to them in order to enable you to respond as quickly and as effectively as possible.